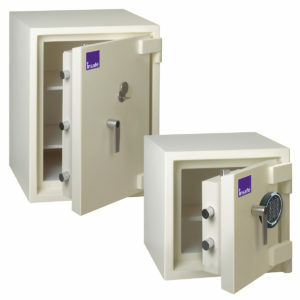 Our Premium Range of High Specification Safes. 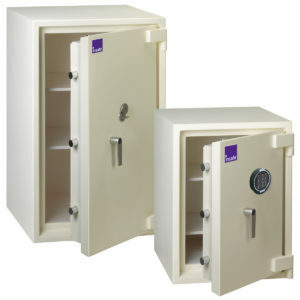 Insafe’s range of Grade Safes is for those that require the very best level of protection a safe can offer. 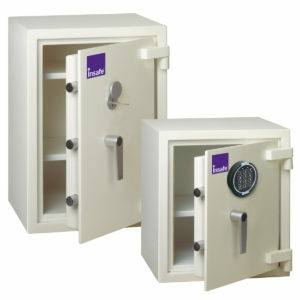 The Insafe Grade range of safes are perfect for retailers, the leisure and hotel industries, business / office use, the public sector and homes requiring protection of valuables, jewellery and cash with a high net worth. 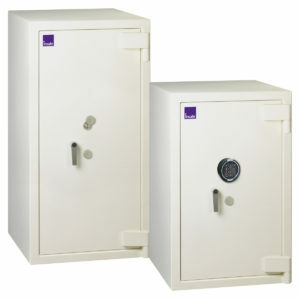 Tested, certified and insurance approved, our range of graded safes offer outstanding cash ratings up to £150,000, valuables up to £1.5million and fire resistance for up to 90 minutes. 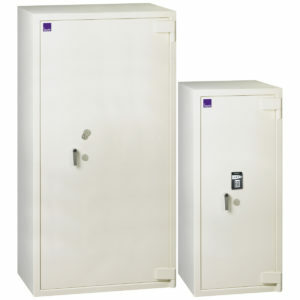 Every safe has been designed and built to world class standards, then it will have been independently tested and certified by the LPCB (the Loss Prevention Certification Board) to European standard EN1143-1. The high specification construction uses the very latest materials and technologies to ensure we manufacture the most secure safes around. Furthermore they provide fire resistance for up to 90 minutes and have been awarded Swedish SP Laboratory NT017 certification. The superb accreditation doesn’t end there! 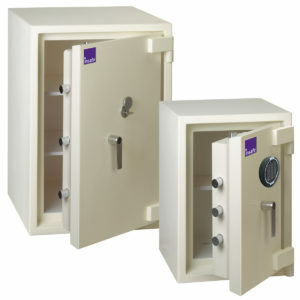 All Insafe Grade Safes are insurance approved by the AiS (Association of Insurance Brokers). Every Insafe Grade Safe comes as standard with a high security keylock tested to European standard EN1300 or one of a multitude of electronic locks which are perfect for the retail markets where more than one person will have access to the safe. 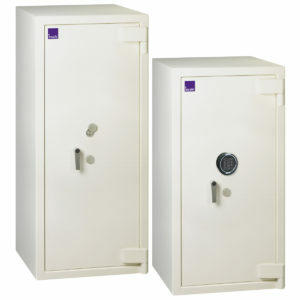 We can supply a Insafe Grades Safe with electronic locks, time delay locks, audit trail locks, duress locks, internet remote access locks, in fact, any type of lock on the market and if what you require is not available, we will produce it and write the software.